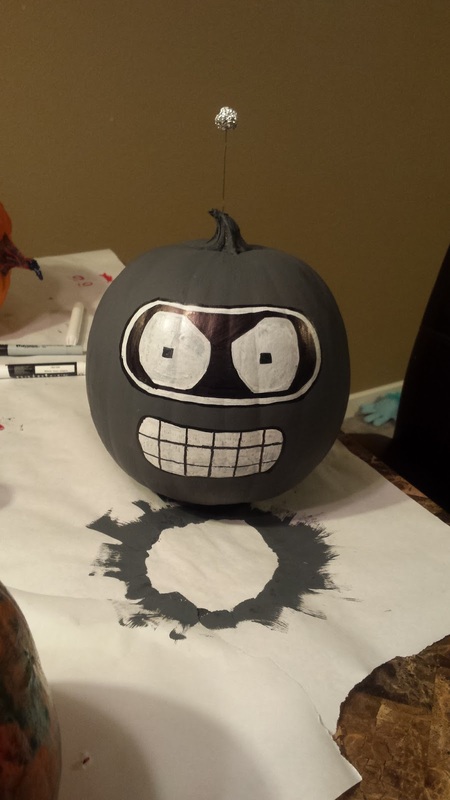 Halloween is my favorite day of the year. It's the one holiday you celebrate with your whole neighborhood, not just your family. You don't have to be in a good mood because it's christmas. Everyone just turns on their front light and welcomes everyone over. You also get to be anyone you want for one night. ANYONE! This year I went as Garth. 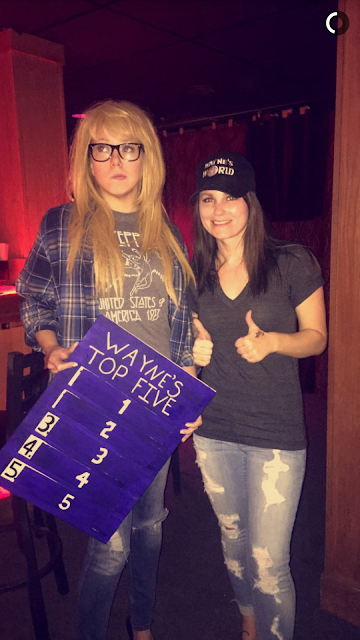 My good friend went as Wayne. We are both moms and didn't have much time to go all out this year, or have a lot of time between trick or treating and bedtime to put on a complicated costume. But I think we pulled it off! 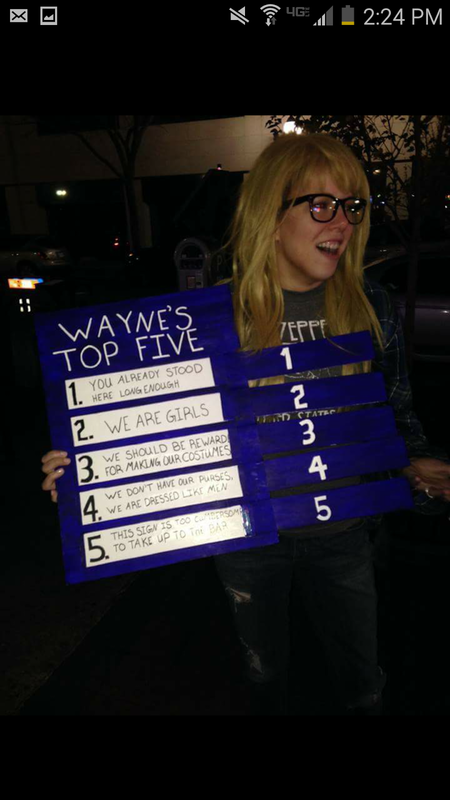 The shirt I was making didn't turn out, but as it turns out, I dress like Garth anyway, and just threw on my Led Zeppelin shirt. 1- You already stood here long enough. We painted pumpkins this year, since little baby buttons is only a year and a half. 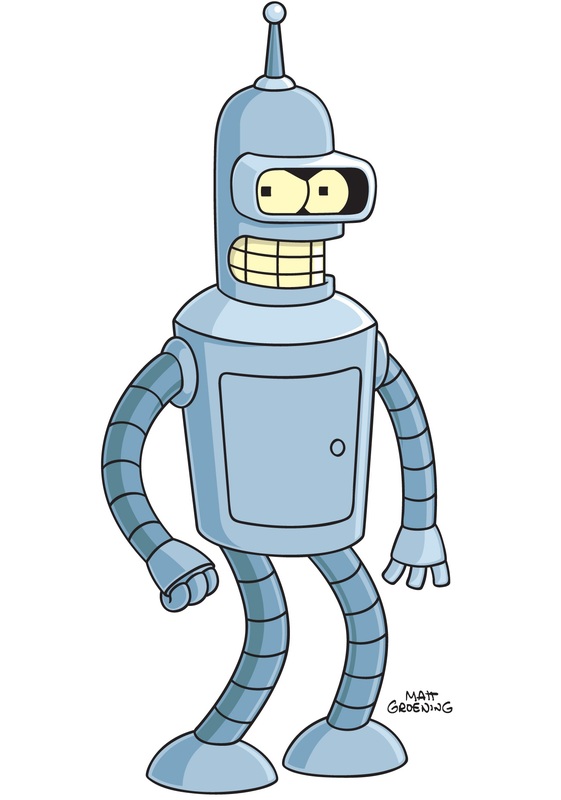 She finger painted hers, I went for Bender. 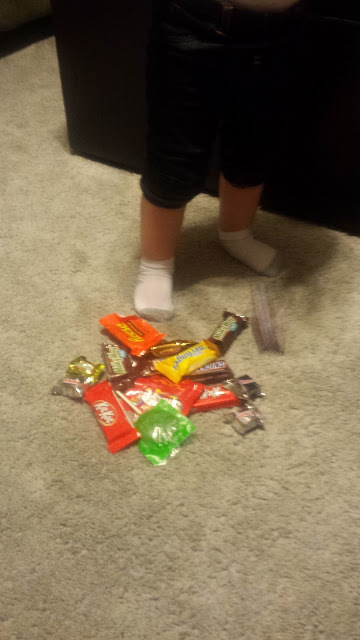 We even hit a few houses at trick or treating, look at that cute little baby haul! I do mean to get back in my sewing room since it's not sign painting central anymore. 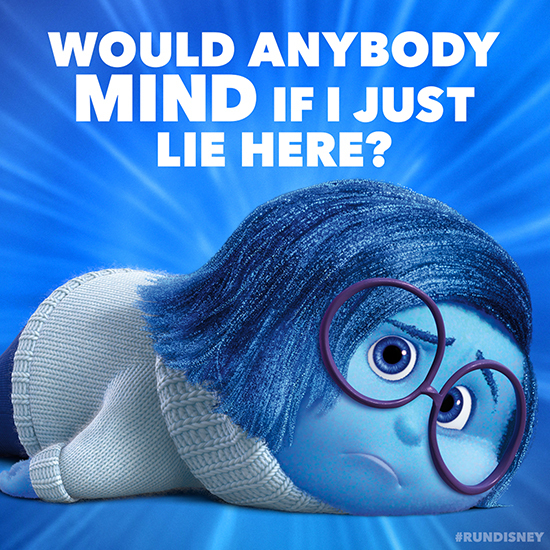 But honestly I've been having a hard time. I've been down in the dumps and it's hard to get the motivation or the creativity to get started. I hope you can all understand.